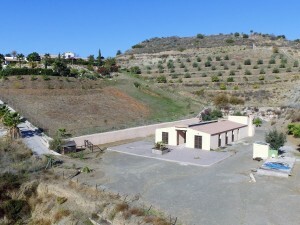 LICENSED HOTEL RURAL WITH PANORAMIC VIEWS AND JUST 2KM FROM CASARABONELA WITH ASPHALT ACCESS!! Beautifully created Boutique Hotel, sympathetically built to consider the best in Andalucian Style and to maximize the elevated position of the Building, sitting comfortably in its own grounds with no near neighbours. Ground floor: Large double entrance door to elegant and spacious reception, bright and spacious living room/ library with fireplace and access to the covered terrace, ideal for alfresco dining and as an extension of the dining room, two dedicated toilets (one prepared for disabled use), a large separate dining room with fireplace with direct access to the covered terrace with panoramic views to Casarabonela and beyond, fully equipped commercial kitchen with pantry, a laundry room, two en suite bedrooms for staff and another owners suite with en suite bathroom, plus two en suite guest bedrooms on this ground floor level, distributed from the reception area. Upstairs: Seven spacious and well equipped en suite bedrooms all with balconies and terraces benefitting from individual panoramic views. The entire building benefits from double glazed windows and shutters, hot and cold air conditioning and is beautifully and sympathetically furnished to a very high standard. Exterior: Delightful, natural Pool area with 100% privacy and tranquillity. 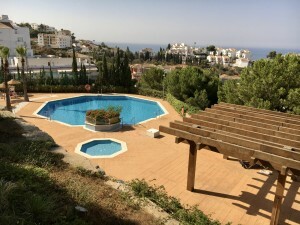 Ample parking for numerous vehicles, interesting grounds with lighting and numerous walkways to discover, barbecue area plus various terraces and garden areas with seating. There is an original "Era" for the grinding of corn, now protected, which makes for a special place for events or romantic dinners. The entire property is in perfect condition and is a turn key Boutique Hotel. 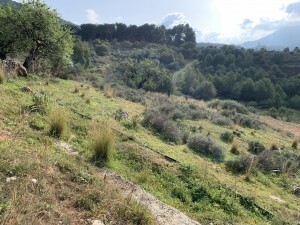 Plot 42.940m2. Total built size 579,86m2 plus terrace 31,36m2.